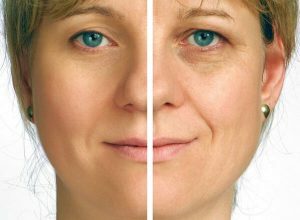 Facial Laser resurfacing is a highly effective skin rejuvenation treatment in which the top layers of skin are removed to reveal softer, smoother, youthful looking skin. Research has also shown this procedure can stimulate the production of collagen which will further improve skin tone and texture. The Wentworth Clinic utilises the advanced technology of the Erbium Laser resurfacing system to perform our laser skin rejuvenation treatments at our Bournemouth or London clinics. We understand that each clients’ skin is different so we create a tailor-made treatment plan for your individual skin type and requirements. You will undergo an initial consultation with our laser resurfacing specialist to review your requirements, discuss treatment options, and ensure you understand what to expect throughout the treatment process. We’ll then schedule an appointment for you to begin your facial laser resurfacing treatment. If you would like further information about our Laser Resurfacing procedure then take a look below, or contact one of the Wentworth team who will be happy to answer any questions you may have via telephone. Alternatively, complete the contact form and one of the staff will respond to your enquiry shortly. Following your laser resurfacing procedure you will notice a stinging sensation which will be followed by redness – this usually diminishes within 2-4 hours. Scabs may drop off after 7 to 10 days leaving a lightly pigmented area. Sun block is essential at this time. Note: You may experience some bleeding spots – this is normal. If you have any worries or concerns, please feel free to call us at the Wentworth Clinic on 01202 428773.